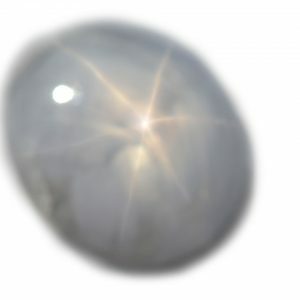 Although this ruby does exhibit a weak star on both sides, I wouldn’t call it a star ruby, but instead a Ruby Cabochon. 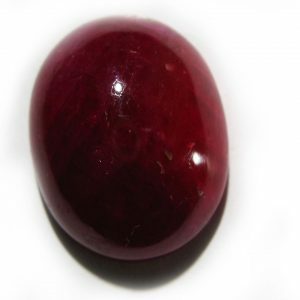 The thing that attracted me to this particular stone was it’s bright cherry red color and that it was unheated and untreated. 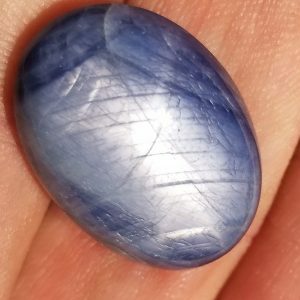 This sapphire was found and cabbed in Burma, and contains that internal fire that so many other stones lack.